It’s “Wellness Wednesday” Life Juicer and I’m Lionel Correia. Today we’re talking about Reasons You Need to Use Organic Fruits and Vegetables for Juicing. Juicing gives your body a wealth of nutritious benefits, and for many, it’s often the first time they actually eat the recommended daily servings of vegetables and fruits. If you are just starting out in your new juicing lifestyle, you’ve probably noticed that nearly every recipe and website recommends using organic produce. If you’ve ignored these suggestions, or don’t think it’s really necessary, keep reading to find out why you really should be using organic for your juices. If you are like most, you are likely trying to cleanse your body, and just get healthier. Over time, the toxins in all those processed foods have built up in your body. Juicing can help you flush out all those harmful substances, which gives your liver, kidneys, and digestive system a much needed break. If you aren’t using organic, you are just adding more toxins, which minimizes the overall benefits of juicing in the first place. When you buy organic fruits and vegetables, you are ensuring that they are not covered with harmful pesticides. If you think you can just wash those toxins off, you’re wrong. Proper washing will remove some of the pesticide residue, but it can’t remove what has seeped into the produce. This means you are ingesting dangerous chemicals that may cause Alzheimer’s, ADHD, birth defects, and even cancer. When you eat foods contaminated with pesticides, the chemicals build up in your colon, where they slowly wreak havoc on your health. When you choose organic, you are assured that any pesticides used are naturally occurring, and chemical free. 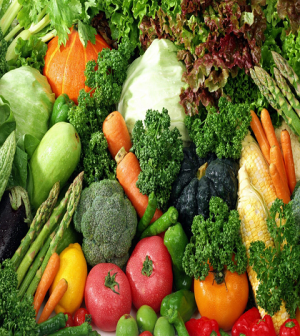 Did you know that many of the fruits and vegetables available in the produce section are not really naturally derived? Farmers often resort to genetic modification of seeds to create different versions of a plant. They do this for two reasons – it allows them to patent a food type to increase profits, and it allows them to create a plant that isn’t damaged by their pesticides of choice. When you opt for organic produce, you are choosing foods that have evolved naturally, not in some lab. This means you know you are getting all the benefits of the real fruits and vegetables, rather than some unknown product that your body may not even recognize as real, healthful food. When you choose organic foods, you are purchasing from growers that are held to strict standards that protect the soil and water supplies. Non-organic growers use chemicals that ultimately contaminate the soil and nearby water supplies. Organic growers follow growing processes that ensure there is no danger of contamination, which helps to protect the environment for future generations. While you always have the choice to buy non-organic produce for your juices, buying organic just makes more sense. You are protecting your body from potentially harmful chemicals, and you are also helping to protect the environment from the dangers these chemicals pose to it. I hope you enjoyed this video, leave us a comment if you did and remember juice strong to live long.